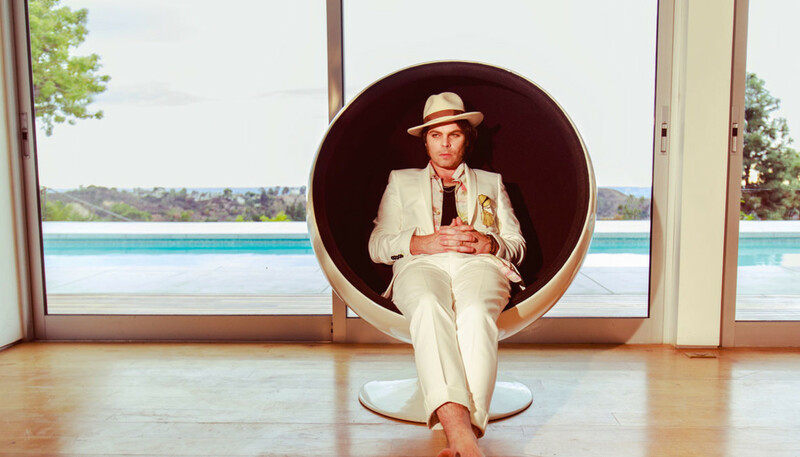 Following 2015's Mercury Prize-nominated Matador, Gaz Coombes is back with a third solo album inspired by the idea of embracing vulnerability. We caught up with the former Supergrass-frontman to talk toxic masculinity, validation and World's Strongest Man. Yeah, it’s been great. I kicked off with full-band rehearsals, just getting this album up and running live, which has been quite something. I always love that moment when you start playing songs live and it feels like they’ve become a real thing, you know? It’s not just data on a hard drive or wave forms. And the band are absolutely amazing, and they’ve translated the album so well, so I’m really, really pleased. And then I headed to America on my own for a bit for some solo shows, so it’s been good fun whizzing around. Your last album won you a Mercury Prize nomination. At this stage in your career, how much do accolades matter to you? Is it validating? I don’t know. If someone says something lovely about a record that you’ve been a part of, or if they understand it in some way, it’s just a good feeling. I guess it makes me feel like I’m not going crazy, and that the music is good. I don’t know if that’s validation, but it’s always good to hear that something you’ve worked really hard on is hitting the mark. But also you can spend years being nominated and be a runner up so there’s no point getting too fussed about it. Just let it be what it is. I think one of the last awards I ever won was Best New Band at the BRITs in 1994, so it’s not like I’ve got an extensive trophy cabinet. That was the night that Jarvis did his madness with Michael Jackson. We definitely didn’t feel part of the whole lad culture of the 90s. So what was the starting point for World’s Strongest Man? I think I just realised it was time to stop touring, like there’s an internal clock inside that just tells you to stop playing live? I just get a feeling that I’ve played songs too much and then it’s a case of fancying doing some writing. I guess that’s just a cycle that I’m in so, yeah, at the end of 2015 I started with early ideas. I think ‘S**t (I’ve Done It Again)’ was probably the first track to come along and it was feeling great. I just felt like that song was different to what I’d been doing on Matador and it definitely sparked the ideas up and I just took it from there. To what extent when you’re starting a new body of work are you consciously trying to do something different to your previous record? It’s not always about doing something different, but just challenging myself, and improving, and making a better record. And also reacting to the last record. It’s all quite loose and vague but I like to be quite free at the beginning of a new record, where the only general parameter is not repeating myself. And there were some bits of Matador that I thought were so great and wanted to explore further. We’ve seen hip hop and Frank Ocean cited as influential on this album. How much is that PR talk? (Laughs) It’s not inspired by hip hop and Frank Ocean, but those records are great. I waited to have a listen to the Frank Ocean records – for some of the hype to die down – and I thought they were great. He’s a master of subtlety and he uses space within the songs really cleverly. He’s really economical and he has these beautiful, understated vocal performances. It doesn’t scream and shout at you to, “Buy me because I’m a big hit song!” It challenges you. And I think Beyoncé did that with Lemonade too. That was a great record. So it’s inspiring to look at other areas of music. I’ve always been into bits of hip hop and even though I’ve been in a rock’n’roll band it doesn’t close you off from being inspired by other genres. There definitely seems to be an encouraging lack of tribalism within music nowadays. Yeah, and I think that’s great that there’s not so much separation between genres. But you know, also, guitar bands will have their day again; it all comes and goes. But I think the main thing about it is that I’m a solo artist and I’m doing it from that point of view, so it’s natural that I look at other artists that are doing things on their own, whether that’s Beck or Frank Ocean. The musical world that you create or inhabit is getting more expansive and diverse with each record. Was keeping things cohesive ever a concern on World’s Strongest Man? No, I think I recognise the cohesion of the tracks quite early on. And I think I just find it hard to write an album in one tone; it’s not representative of life or of how I approach art. But yeah, it’s really important to make a complete piece of work, though I don’t know what makes it complete. Maybe the voice? Sadly, the title ‘World’s Strongest Man’ is not paying homage to everyone’s famous Christmas holidays atlas stone-lifting contest. Did you ever watch that? I did, actually! And it did creep into the idea of the title track. I think at one point over Christmas I was in my pants watching World’s Strongest Man... No, but the title came from the idea of celebrating and owning those quirks and weird vulnerabilities and imperfections that we’ve all got. Having a playful dig at that whole masculinity thing. 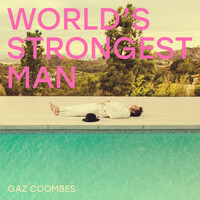 There’s almost an imaginary “not” in brackets after the words “World’s Strongest Man”. The title was partly inspired by Grayson Perry’s book ‘The Descent Of Man’. What was it about that book that you found inspiring? The book has just got a beautiful tone and I think it’s really sensitively written and very thoughtful and insightful. I remember reading it on holiday and every couple of pages I would look up and say my wife, “Wow that’s really mad! That’s so cool.” It’s a great read. I don’t know what it inspired directly on the record but I think things crept in. How interested were you in tackling the wider issues of machismo and toxic masculinity? I wouldn’t necessarily take to Twitter to be a warrior but I think what feels right to me is expressing ideas and thoughts through music; using music as my way of getting these thoughts out about what’s happening around us. You have to do what feels right, you know? And yeah I love exploring all these things. It’s fascinating. When you came to prominence with Supergrass, it seemed like there was this hyper-masculine, lad-mag culture. Do you think that attitudes are changing now regarding men expressing vulnerability? I remember feeling in Supergrass that we were in this odd, gentle bubble. We definitely didn’t feel part of the whole lad culture of the 90s. But yeah, things are changing. I’ve got an autistic daughter, who’s 14, and it’s definitely been a crash course in dealing with the unexpected, and the other weird and wonderful ways of looking at life. And I’ve really locked into it and I feel really in tune with it. I think she’s amazing because she looks at things differently. What other themes or ideas do you see percolating through the record? Weird Dreams’ is a lifetime in one night, and about this very intense love, which I find quite beautiful in a way; that idea of being completely connected. And there’s stuff about wanting to be a space man (Laughs). And then buying a guitar and realising that that’s maybe what I should do instead, because I had no chance of becoming an astronaut on five GCSEs. What are you proudest of about this record? That I finished it and that it’s sounding great live, I guess. For me, if it doesn’t connect live then it can only exist in one place, so I’m really excited to play more shows with the band. The songs are taking on a whole new life, which is really exciting to see. And what are your hopes for the next 12 months and beyond? World peace? Oh I don’t know, just enjoying time with everyone around me. Doing a soundtrack would be a great, actually. That’s high up on the list with s**t I’d love to do. I’m really terrible at networking though. I’m so un-2018 when it comes to putting myself out there. So I’m using you to sort this, actually; speaking through you. This is my pitch: film people, I am approachable, I’m right here, you can talk to me and I’d love to write some music for your film.